As most people know by now, modular motorcycle helmets have taken the industry by storm in recent years. Interest in the Sport & ADV Touring and versatile gear continues to grow, and more and more manufacturers are rolling out their offerings in the modular market. Introduced in 2006, the Shoei Multitec Helmet continues to dominate the realm of modulars much like its predecessor, the Shoei Syncrotec, did. As with every product Shoei releases, the Multitec has excellent aerodynamics, low wind noise, and superb airflow, especiall for a modular. 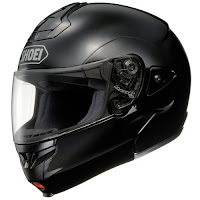 With the same shell construction (Advanced Integrated Matrix) as the Shoei RF-1000 and Shoei X-11, the Shoei Multitec can offer all of the great features as those helmets: airflow designed to keep you cool and your shield fog-free, interchangeable cheek pads for accurate & snug sizing, and the QRBP system. The Quick Release Base Plate makes shield changes tool-less and simple; it also ensures a snug, air-tight fit. 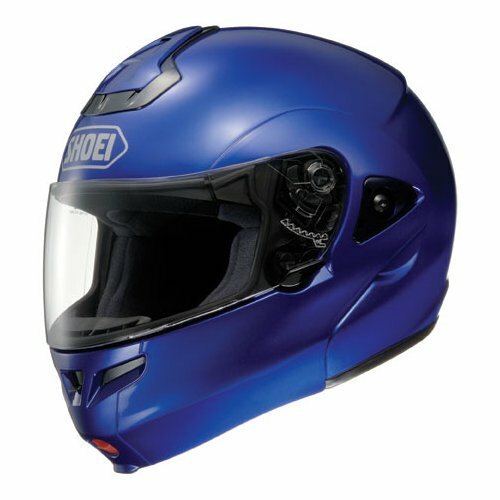 It's also one of the lightest modular helmets we carry at RevZilla.com, so there's no concern that long riding will result in discomfort. The modular aspect of the helmet is on point as well. A large single button release lives on the chin of the helmet and is easily operable with or without a glove on. Pull up to a red light wanting some fresh air? Two seconds and the helmet is wide open. This helmet, as with all modular helmets, is only DOT certified due to the hinge on the front. That eliminates the possibility of a Snell rating. However, the shell construction coupled with the liner system, ensures safety. Check out the Multitec at RevZilla.com. 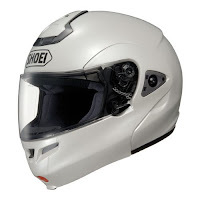 It comes in 11 different colors and is reasonably priced for the quality that Shoei consistently delivers; they rarely disappoint.